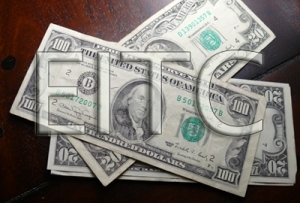 A majority of the families that benefit from the Earned Income Tax Credit (EITC) are single head of household filers— a filing designation commonly used by single mothers. The same single mothers who are struggling to provide the basics of a healthy and happy life for their children in an economic climate defined by stagnating wages and higher costs for childcare, medicine, and housing. North Carolina’s low- and middle-income working families are struggling to stay afloat as costs rise faster than their pay. In North Carolina, these same families are responsible for an ever increasing tax burden while our state’s wealthiest individuals and corporations are not being asked to pay their share. In stark contrast to the Tax Cuts and Jobs Act (TCJA) of 2017 that was heavily tilted in favor of corporations and the wealthy, several Senate co-sponsors just introduced the Working Families Tax Relief Act. Tax week represents a good time to reflect on how North Carolina’s current tax code places limitations on revenue building opportunities for much needed public investments. If North Carolina seeks to fulfill its commitments and ensure prosperity for all of its residents, then it must take advantage of sound policies — like placing high rates on higher incomes through a a millionaire’s tax — that can raise such revenue. Roughly $362 million could be raised from a millionaire’s tax in North Carolina. Researchers have proposed higher tax rates on higher incomes based on the idea that $1 for a very wealthy person doesn’t make a significant impact on their well-being in the same way that it would for someone with a much lower income. Furthermore, given the high concentration of wealth that exists in the hands of a few — which is overwhelmingly white — placing a higher rate on the highest incomes suggests that it would (1) only impact a small number of taxpayers and (2) begin to address the growing racial wealth gap. 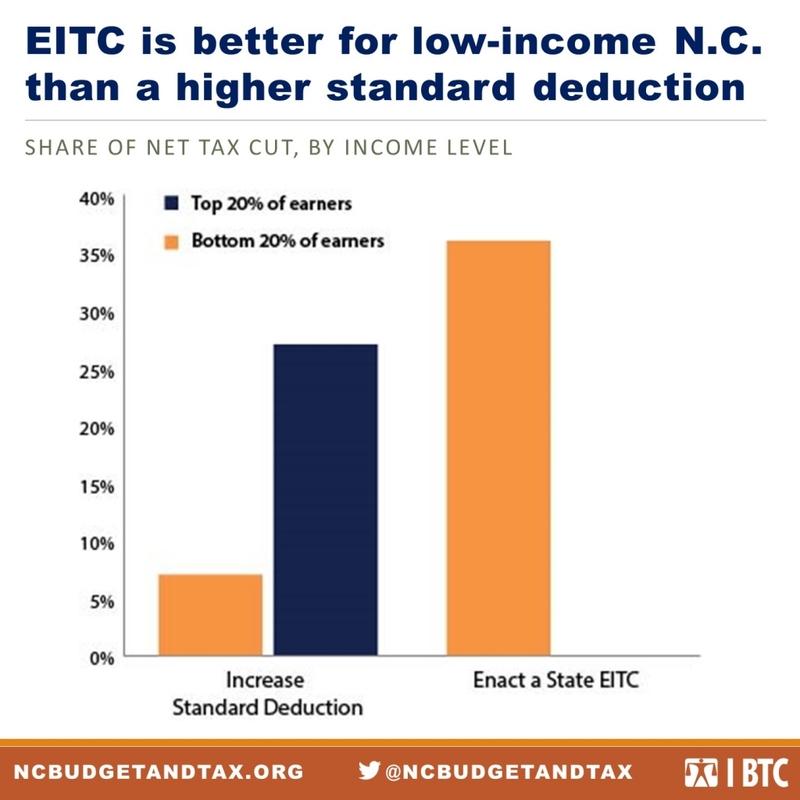 In North Carolina, a higher tax rate on income over $1 million would reduce the size of the average net tax cut for the top 1 percent by 0.5 percent, or $6,461. This would, in part, address the upside-down nature of the tax code while making it less likely that the tax load will continue to shift to low- and middle-income taxpayers as growing needs must be met. Future policymakers would not be inclined to just raise the flat rate on all income but could continue to build a graduated rate structure on higher income. While our state seeks to provide each of us with a high quality of life, it’s already struggling to keep up with investments needed in the classroom, in the infrastructure that ensures our communities are resilient and connected to opportunity, and in the protections and supports that promote healthy living environments. A millionaire’s tax — and moving to a graduated income tax structure that sets higher rates on higher income — can help North Carolina raise revenue for its priorities, decrease racial inequities, build economic opportunity, spur growth, and address, in part, it’s upside down tax code. House Bill 655, the “NC Health Care for Working Families” is intended to close the coverage gap and provide health insurance to North Carolinians who previously did not have access. Unfortunately, this bill contains troubling provisions that will harm the very people legislators claim to help. Specifically, the work reporting requirements are an ill-informed and bad faith effort to increase employment. Not only do these provisions fly in the face of the vast amount of evidence which proves they do not work, they are based off of nasty stereotypes and are not reflective of the lives of people struggling to make ends meet. In fact, these requirements restrict access to public supports for the people who need help the most and who rely on those supports to work and lead full lives.